This isn’t the gun’s first trip down the revitalization path. Being a relatively simple, utilitarian firearm, this piece has no doubt seen a number of bumps and bruises throughout its nearly third-of-a-century tenure in various forests, shooting ranges, safes and other locales. The stock isn’t particularly beautiful from the factory, but it is composed of a decent (walnut?) 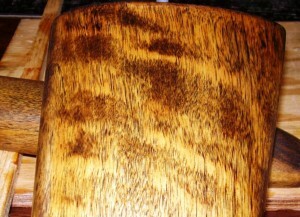 hardwood. A number of years ago the barrel was re-blued and the stock was sanded and given a quick finish-job with ordinary hardware store Linseed Oil. Despite the passing years, the finish still seemed a bit soft or tacky or otherwise “not quite right.” Plus, since then, it has received a few more bumps and bruises and, while the metal parts still look fine, a little time spent on the furniture wouldn’t be wasted. We started off by sanding off the old finish. Given that we didn’t have the nearly idiot-proof instructions that came with the kit or the accompanying Oil Finishing booklet by George Brothers (namesake of “GB LinSpeed Oil”) during the last refinishing, we didn’t have a very good understanding of how an oil finish works. That probably left significantly more finish on the wood than there should have been, but we eventually got it sanded down to bare wood with regular sandpaper from the shop. After that, we started working our way through the MicroMesh (a super-fine cushioned abrasive) series from #1500 up through #3200, leaving the wood with a very smooth, clean surface. The rest of the process was smooth sailing. 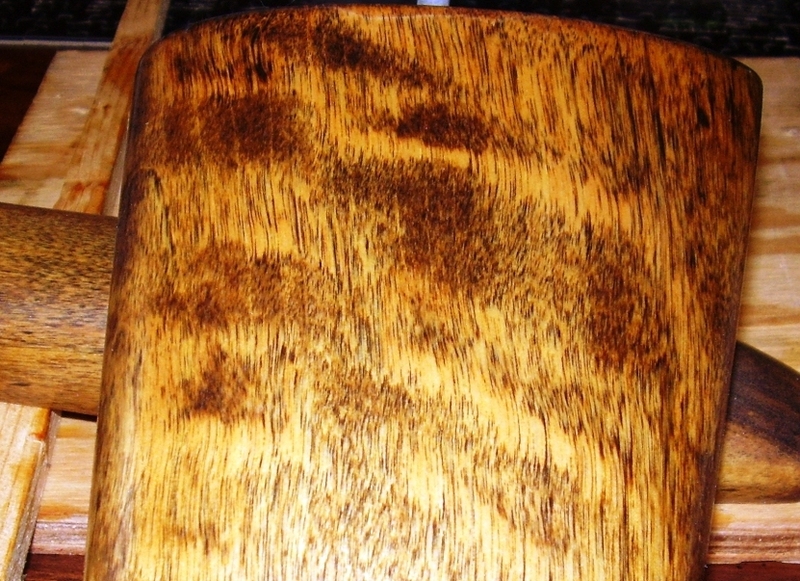 After the first dual-application cycle, the wood was already starting to have a nice, natural look to it (see the photo of the grain above). 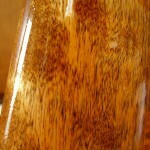 By the time the final application was finished, the wood was really looking beautiful. The instructions recommend 7-10 days drying time for the final finish but heading out of town on business meant the stock had closer to two weeks to season. The next step (which, from the instructions, I gather is optional) is to polish the finish with MicroMesh. We began with #2400 and continued all the way up through #12000. The sheet that comes with the kit advises that a satin finish should appear around #3600, turn glossy around #6000 and continue to increase in gloss through #12000. Despite going all the way up through the series, we didn’t end up with the deep, deep gloss finish that I was secretly hoping for (as one might see on an obscenely expensive bespoke rifle), but the finish does look and feel incredibly nice for a cheap 30+ year old hunting shotgun. 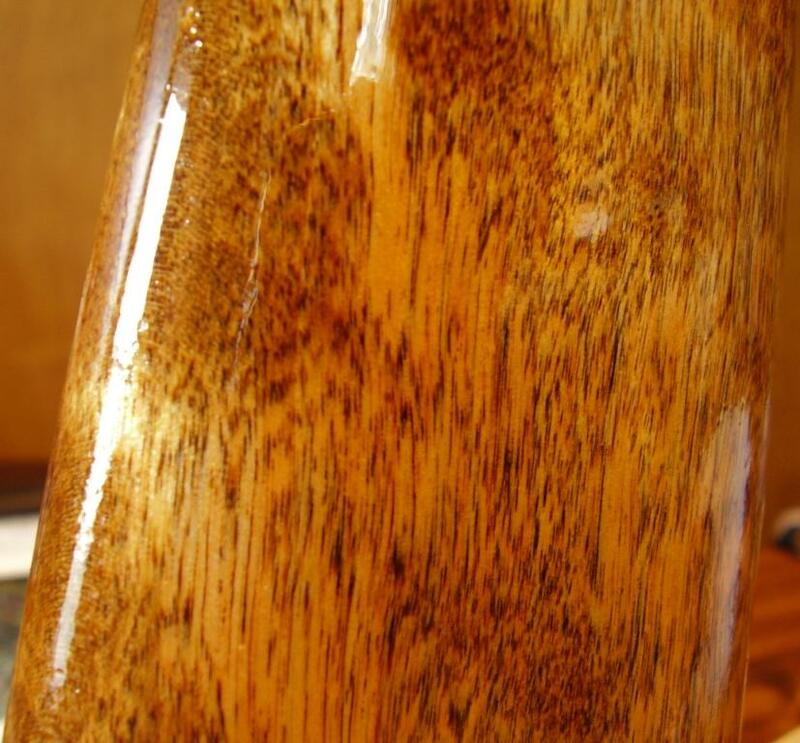 Given how easy the refinishing process was and how nicely the final product turned out, we can’t help but recommend this kit to anyone looking to refinish their own stock at home. 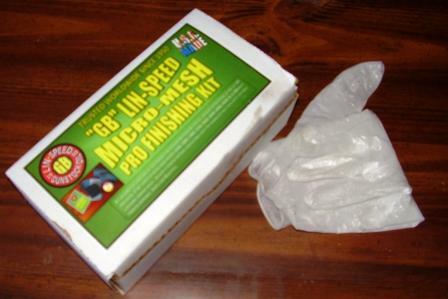 For less than $40, you get the refinishing kit (a 2-ounce jar of “GB” Lin-Speed Oil, Micro-Mesh 1500-12000 grit clothed backed durable/reuseable wet dry sanding cloths, a cushoned sanding block, two 3/0 steel wool pads, rubber gloves, color illustrated instructions and Oil Finishing booklet), which is plenty of product to finish several gun stocks (the company claims up to six long-guns). Perhaps even better though, is the priceless satisfaction of a DIY job well done. I give the product a thumbs up. In fact, one of the gloves from the kit that we used is still giving it a thumbs up. 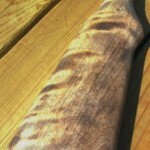 Now we just have to fight the urge to start refinishing guns that don’t need it, just for fun! 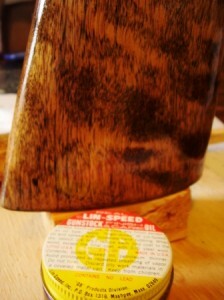 Find out more about LinSpeed in the GunLink Directory or on their website at www.Lin-Speed.com. Hola! I’ve been reading your site for a while now and finally got the bravery to go ahead and give you a shout out from New Caney Texas! Just wanted to mention keep up the fantastic job!